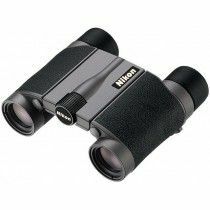 The elegant ultra-small Nikon 4x10 DCF are suitable for use at different events, from sports games, concerts, theatres to museums. 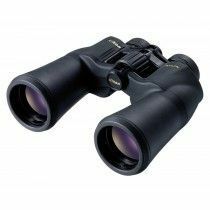 These hand-friendly binoculars offer wide field of view, stunning close focusing distance (1.2m) and high-quality performance thanks to multi-coated lenses, giving you the finest crisp and clear view-through. 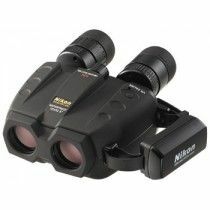 Nikon Action Extreme offers six models for wide varieties of use, such as hunting, birdwatching, marine and astronomy applications. They are highly durable, waterproof, fog-proof and offer outstanding optical performance thanks to multi-coated lenses and wider field of view. Nikon Aculon A211 series offers compact and all-round binoculars for low-light viewing, among which are also two zoom models with variable magnifications from 8-18x and 10-22x. They offer great ergonomics and extremely bright images with field-flattening lenses for razor sharp images from edge to edge and great light transmission rate even in the most challenging light conditions. 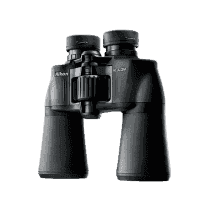 Aculon A30 series offers two pocket binoculars for adventures in the nature such as hiking, traveling, safari and concert and sports events observations. With unique open-hinge design and durable rubber armouring they are able to withstand in the most extreme terrain. The optical performance is amazing with multi-coated lenses and environment-friendly Eco-glass. 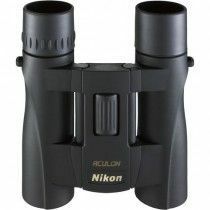 One of the smallest binoculars by Nikon – Aculon T01 offer pocket-size companions for traveling, hiking, and urban use, that can fit to your unique style. They come in shiny white, orange, blue, red and black color and provide extremely comfortable handling and high-quality optical performance thanks to their multi-coated lenses. 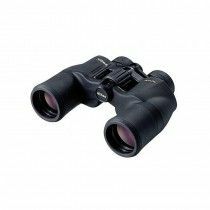 Aculon T11 are the smallest binoculars with variable magnification and extremely bright images due to their Porro prism system and multi-coated lenses. They are suitable for everyday use from hiking, traveling to sports events and offer great ergonomics and beautiful aesthetic design in shiny white, blue and red. 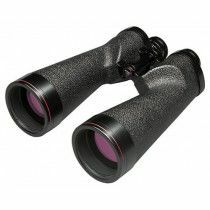 Award winning Aculon T51 are hand-friendly pocket-size binoculars that come in shiny black, silver, pink and red colors. They are elegant and provide sophistication so you can easily take them with you to theater, museums and galleries. 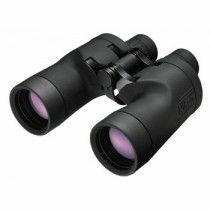 Great optical performance is the result of multi-coated system and they offer great ergonomics for longer use. 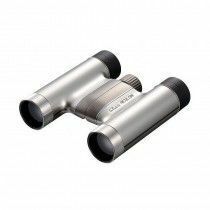 Another pocket-size binoculars Aculon W10 are suitable for adventures in the nature and urban use. From hiking, traveling to sports events and concerts in the city. 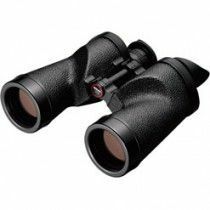 They are extremely durable thanks to waterproof and fog-proof construction and offer great optical performance due to multi-coated anti-reflective system. 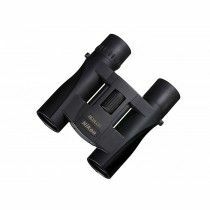 E II series offers compact binoculars for everyday use. They are extremely bright thanks to Porro prism system and anti-reflective multi-coated system provides razor-sharp images with great resolution. They are enclosed in traditional leather housing providing a non-slip grip. They are lightweight and have smaller dimensions for comfortable portability. 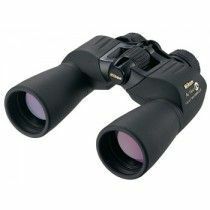 The amazing Nikon EDG binoculars are able to outperform all competitors. 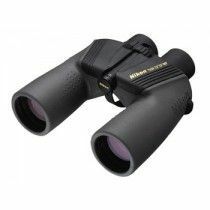 Designed in Japan, they provide exceptional optical performance, unbreakable durability and comfortable ergonomics. The five models are able to impress even the biggest professionals that are using them in the mountains, when hunting, birdwatching or traveling. 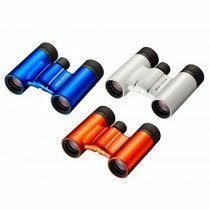 They are ultra-light thanks to aluminum housing, fully multi-coated, equipped with ED glass, phase corrected and prism coated with dielectric and silver coating. They are also well protected thanks to waterproof, fog-proof and submersible construction. 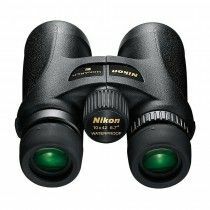 Nikon HG L binoculars offer pocket, compacts and all-round models for everyday use from hunting, birdwatching, traveling hiking, safari etc. They offer amazing optical performance thanks to fully multi-coated lenses, prisms (silver) and flat-field design. They offer comfortable ergonomics thanks to magnesium housing and are well protected due to waterproof and fog-proof bodies. Marine binoculars by Nikon made in Japan are perfect for mountaineering, fishing, boating and skygazing. 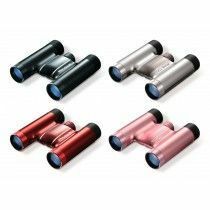 They have a central focusing mechanism for quick adjustments and waterproof construction that prevents the ingress of water, giving them corrosion-free durability which is the result of nitrogen filling. One of the models GLOBAL COMPASS also integrates compass to help you navigate in the nature. 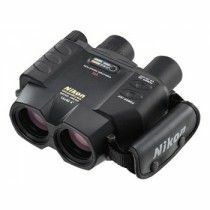 Nikon Marine IF WP offer binoculars with individual focusing and waterproof ability for extreme durability. They are made out of ultra-light polycarbonate body for comfortable handling and provide great optical performance thanks to fully multi-coated lenses and Porro prism system for bright, crystal-clear images with stunning resolution. 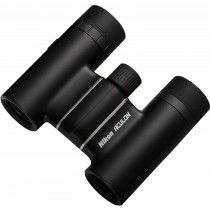 Nikon Marine IF HP WP offers classical Porro prisms binoculars enclosed in leather housing, which are suitable for marine applications and skygazing. They provide individual focusing, fully waterproof construction and high-quality performance thanks to bright images. The TROPICAL model also integrates build-in-scale for vertical and horizontal measurements. 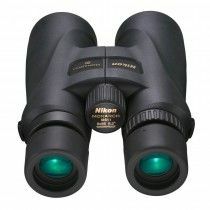 The unique Mikron binoculars by Nikon offer extraordinary elegance. 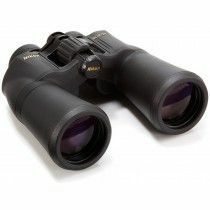 Coming in silver and black, these binoculars with 15mm objective and low power are perfect for special events in theater, museum galleries and even wildlife. They are equipped with central focusing mechanism and right-eye diopter, long eye-relief and brilliant optical performance thanks to Porro prism system. 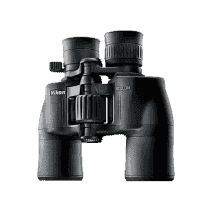 Nikon offers high-end MONARCH 5 binoculars that have brilliant optical performance thanks to fully multi-coated lenses, ED glass, phase correction and prism coatings (dielectric). 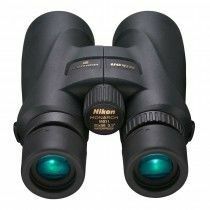 In these series are all-round models and models for low-light conditions that are suitable for hunting, birdwatching, mountaineering, traveling and also long-distance observations. 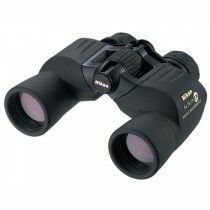 MONARCH 5 binoculars are waterproof and fog-proof. Their polycarbonate housing makes them ergonomically comfortable. 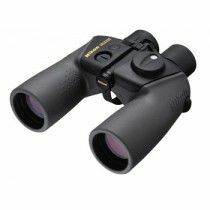 Monarch 7 offers compact and all-round models with amazing optical technology, extreme durability and comfortable ergonomics. These great companions are equipped with high-quality coatings, ED glass, are waterproof, fog-proof, have small dimensions and use ultra-light materials that won’t break the bank! 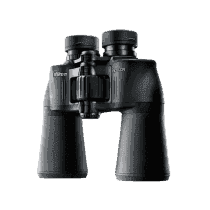 The newest Monarch HG in class offers high-end binoculars that integrate high-quality optics and durability. 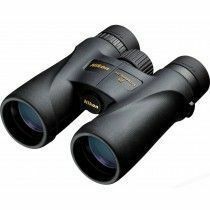 There are two all-round models available for everyday use of hunters, birdwatchers and other professionals. 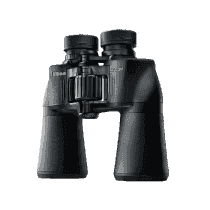 Monarch High-Grade binoculars are equipped with fully multi-coated ED glass, field flattening system, phase corrections, hydrophobic coatings, wrapped in a lightweight magnesium body for comfortable handling and protected with watertight and fog-proof construction. 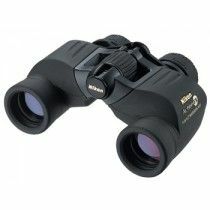 Prostaff 5 series are perfect entry-level binoculars with high-quality performance at affordable price. 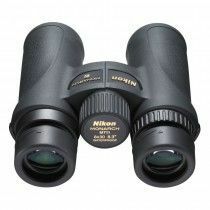 Whether you are a beginner in hunting, birdwatching or would like to use binoculars in any wildlife adventure, these Nikon binoculars will give you all you need with multi-coated optics, rugged build materials and waterproof construction filled with nitrogen gas. You can choose between all-round models and models for low-light viewing. 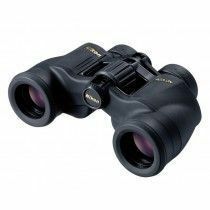 Another amazing entry-level binoculars Prostaff 7S offer high-quality optics thanks to fully multi-coated system and ED glass. Comfortable handling to ease your portability due to rugged armouring and polycarbonate bodies, waterproof and fog-proof construction are another great features that will keep them safe when on an adventure in the nature. You can choose the all-round models and compact models which are perfect for everyday use. 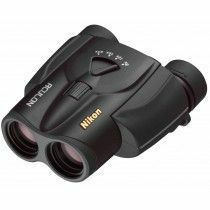 The amazing pocket-size binoculars by Nikon, Sportstar EX integrate high-quality optical performance thanks to multi-coated system and large field of view. They are well protected and thus offer waterproof and fog-proof feature. 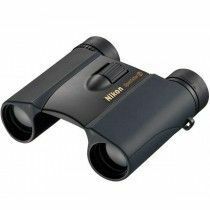 They are perfect for different use from viewing the wildlife to urban use such as sports events, theater and concert observations. 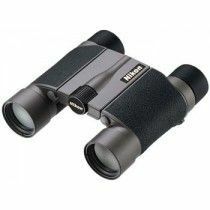 These stylish binoculars are available in silver and charcoal grey color. 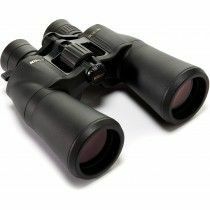 The reverse Porro binoculars Travelite EX combine best of both worlds - amazing brightness and comfortable handling. There are four pocket-size models available equipped with multi-coated aspherical lenses for additional brilliance and are well protected with waterproof and fog-proof bodies so you can easily take them with you when facing challenging weather conditions.